@ TouchMyCatEars, I think this specimen is a little to slim for a good bacon yield. @DrSin, Dont you mean THICC and L O N G? @DrSin, open wide for my slop! @DrSin, I'm almost there, keep going! @DrSin, *creates fire storm arround you* Is this enough? @DrSin, Well then bon appetite. @The Flame War, C'mon bro, what do you expect out of the two of us? @ TouchMyCatEars, ...Sigh... I guess I you're right. @DrSin, Don't threaten me with a good time. @DrSin, You can try but you'll fail seeing as I don't really have a body. And what would you even do. I'm basicaly the same as you. @DrSin, wait, I thought as long as our balls don't touch it's not gay? @DrSin, But remember, even if you don't have socks on and your balls touch, you can always say no homo to negate any Big Gay you might have caught. 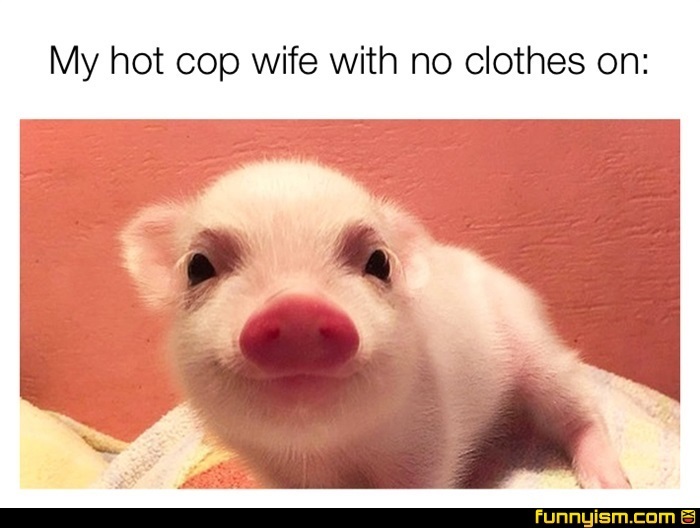 Gonna pork your wife then? Ah, I see that "Satire" is tagged here. Jokes on you, I like chubby women, I like dominant women, and I was a stunt double for that one episode of Black Mirror.